If you’ve ever ruined a favourite sweater – washing it too hot or too roughly – you’ll know what felting is like. 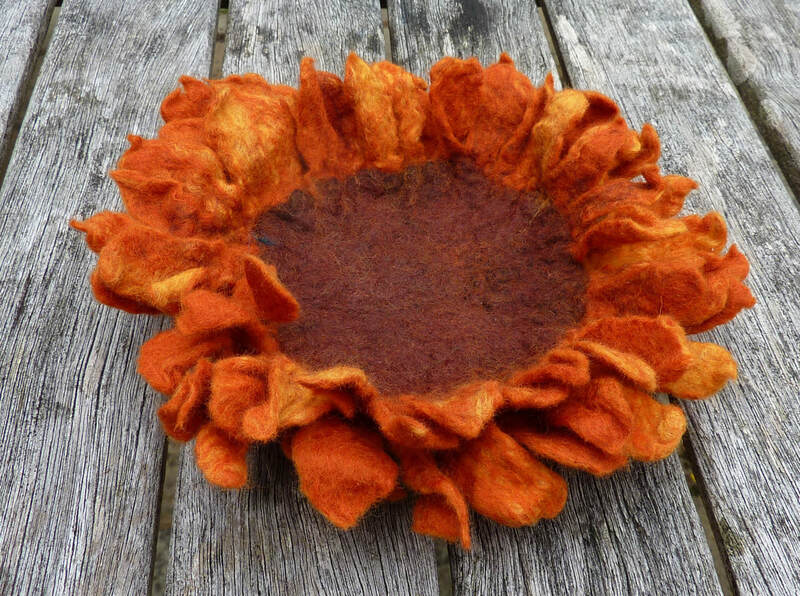 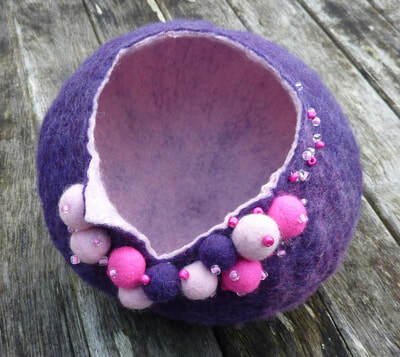 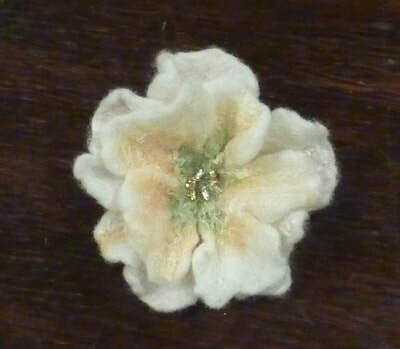 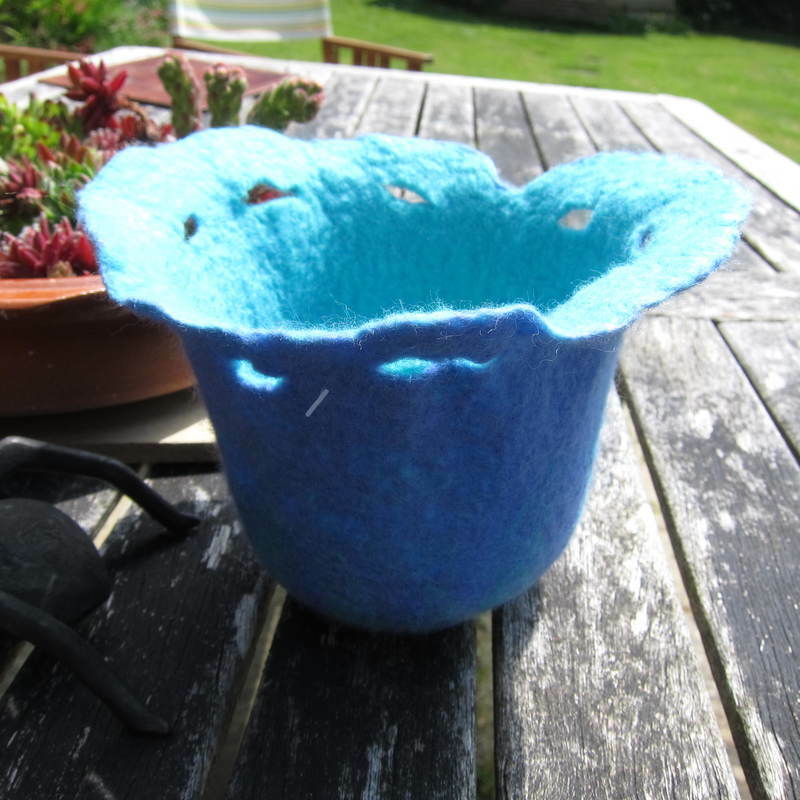 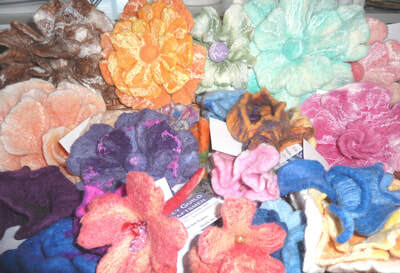 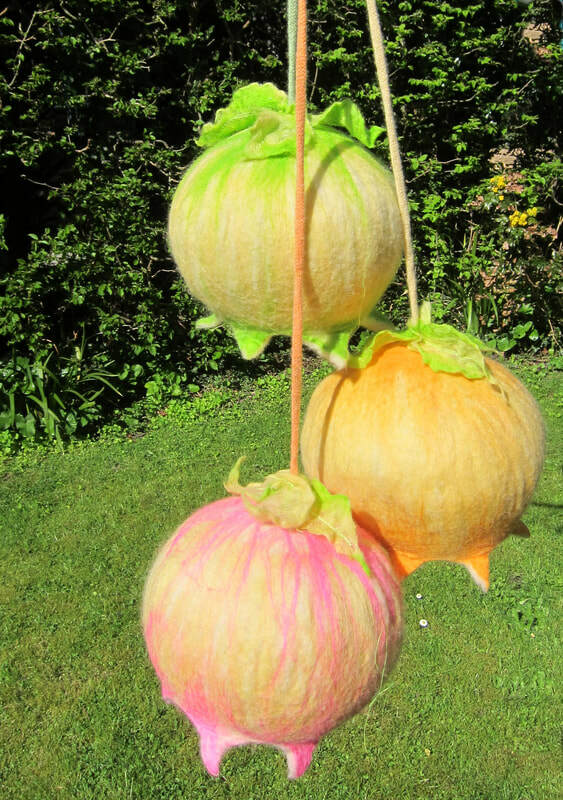 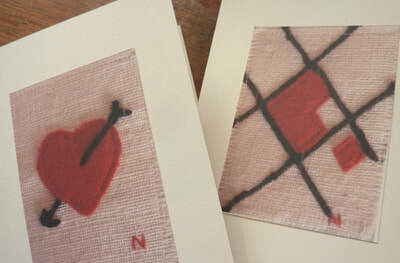 But if you are doing it on purpose, well, I'm sure you will just love wetfelting! Felt is basically matted wool - it can be delicate (cobweb scarves) or strong enough for homes (yurts) and for industrial use. 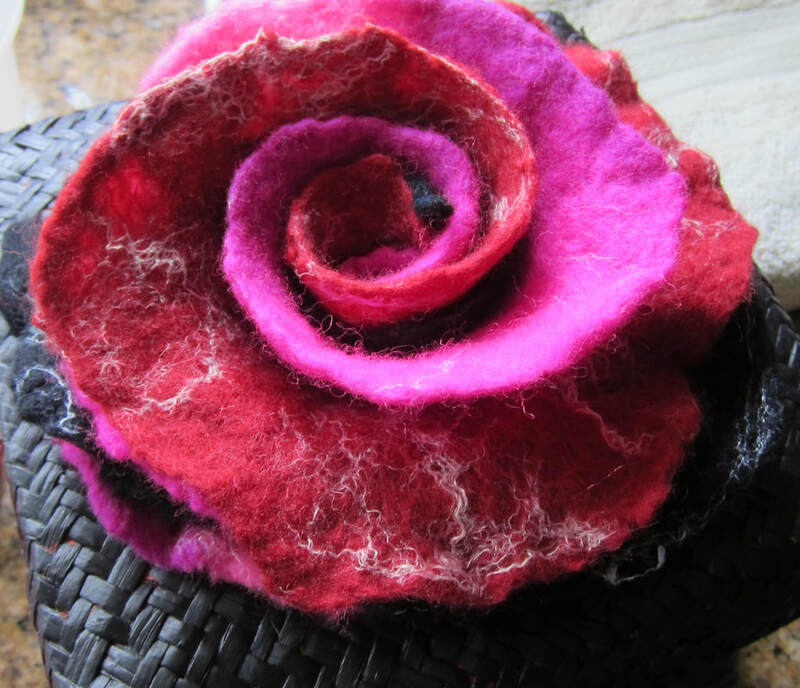 For me the most wonderful thing about felt is that it can be almost any combination of colours – and the possibilities are endless. 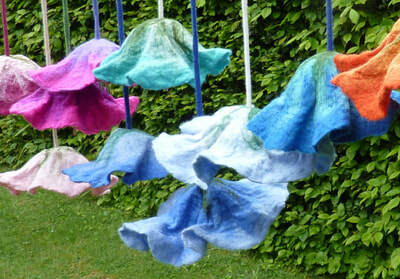 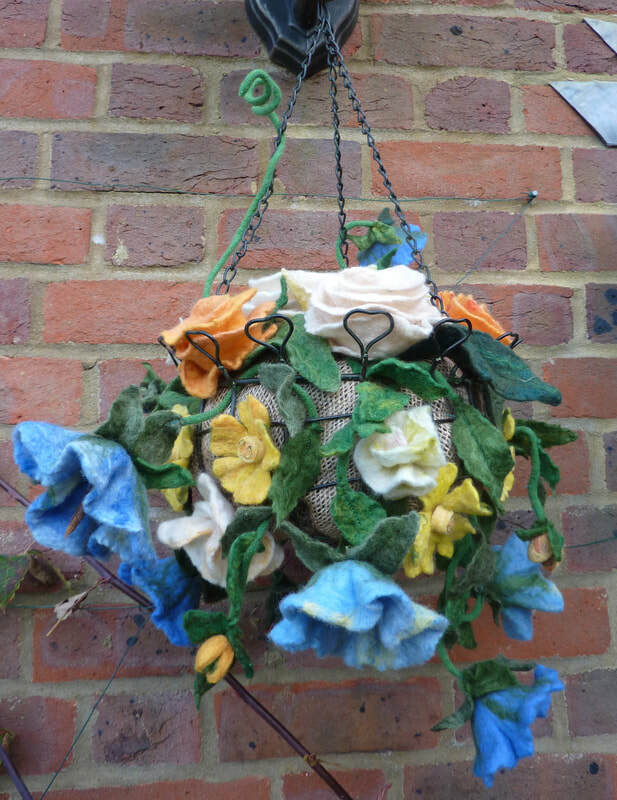 While feltmaking is being used increasingly as an artistic medium, in many countries it is still very much a practical material for homes and clothing. 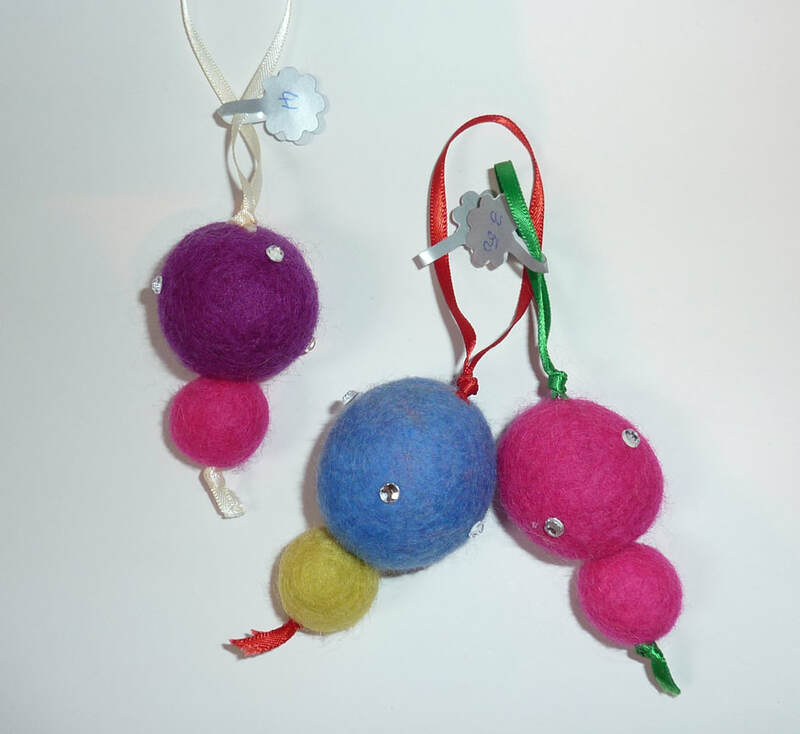 It is also widely used in industry, for dampers for musical instruments or in situations where it lessens excessive vibration, for example. 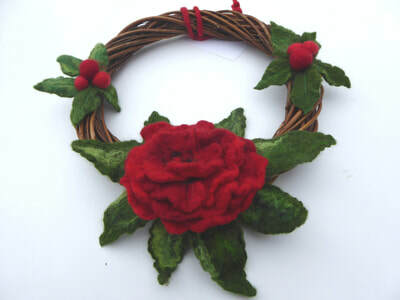 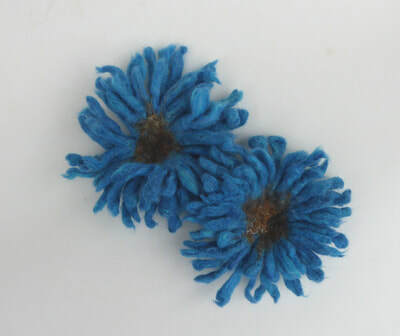 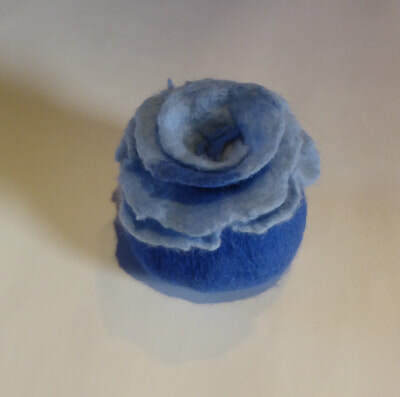 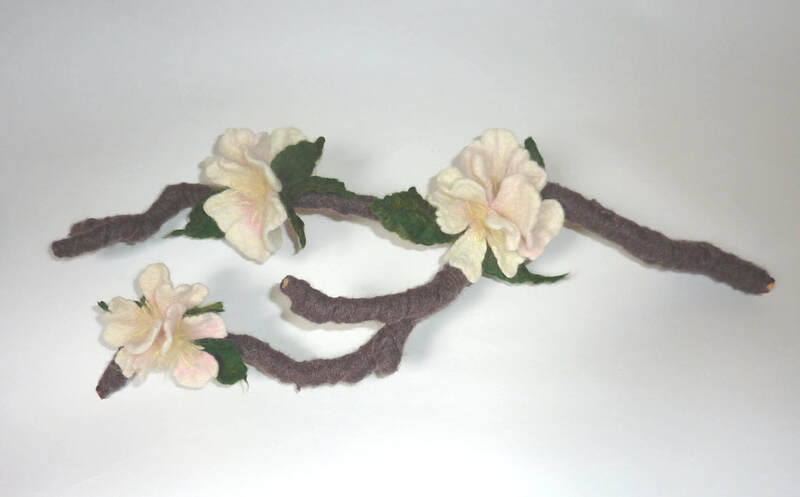 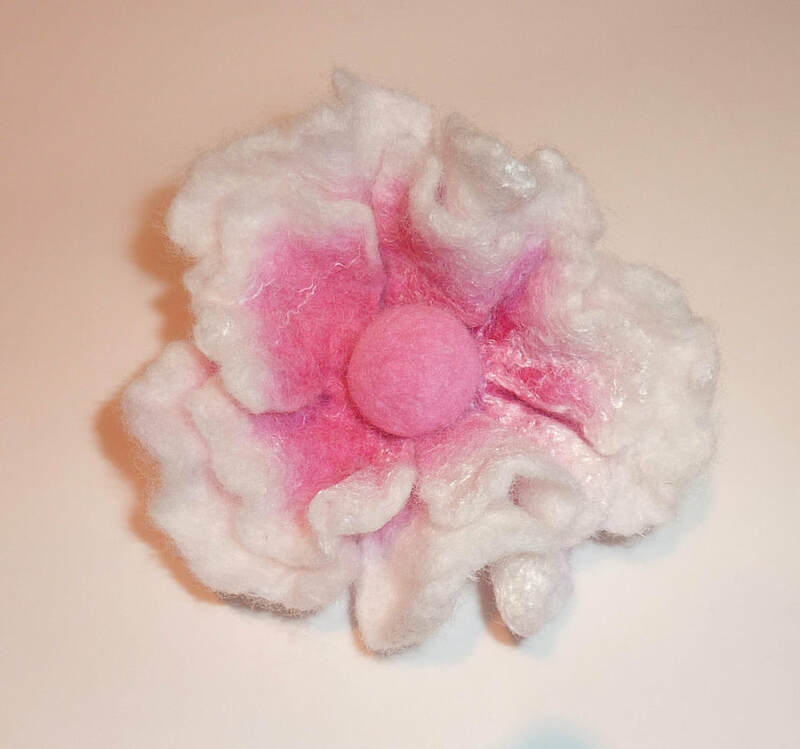 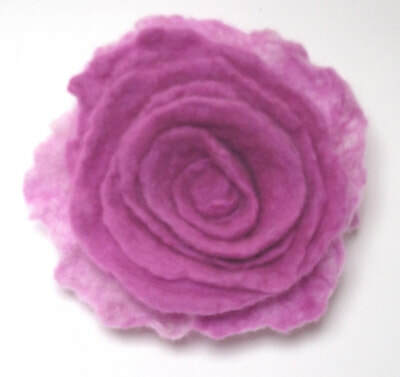 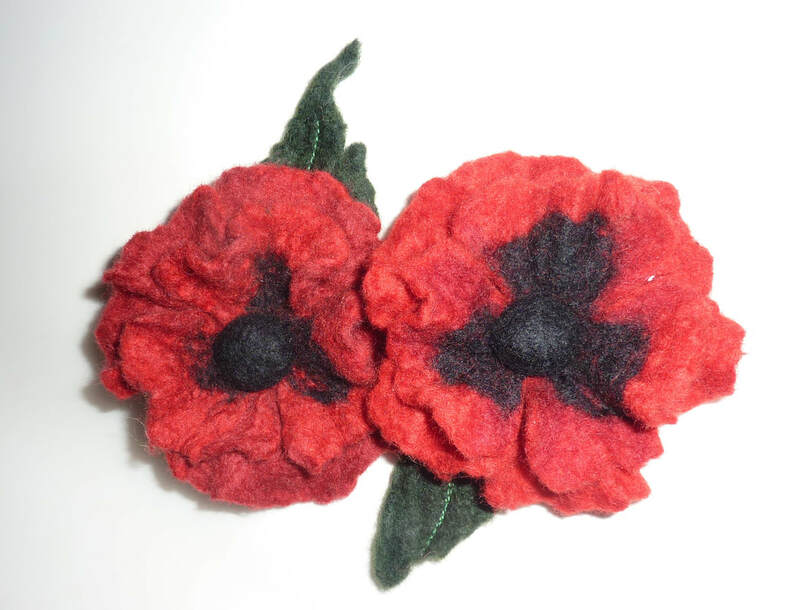 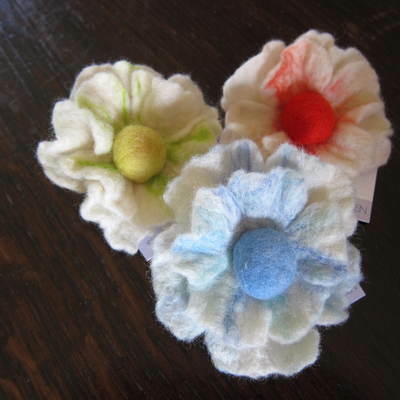 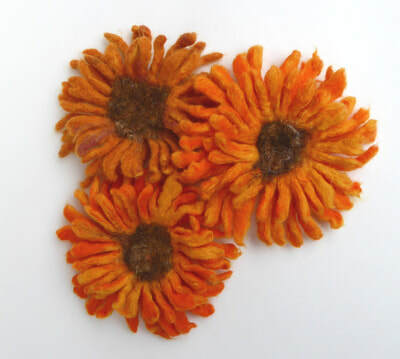 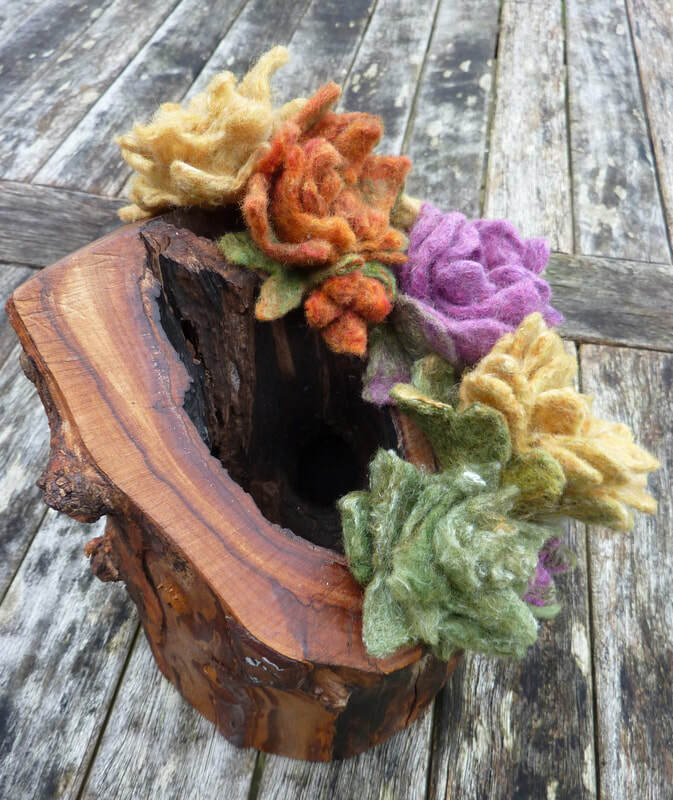 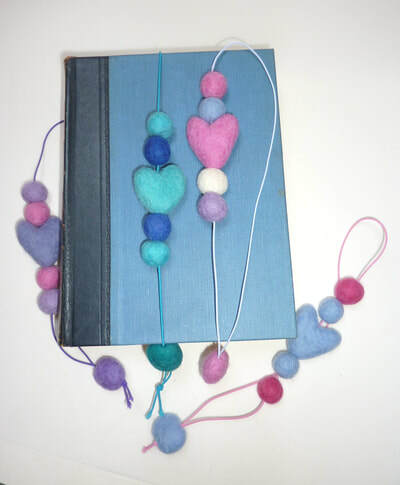 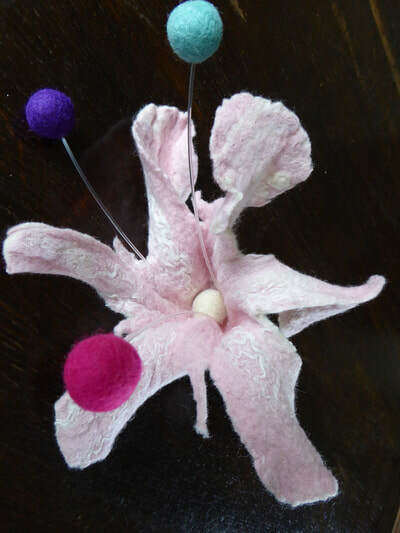 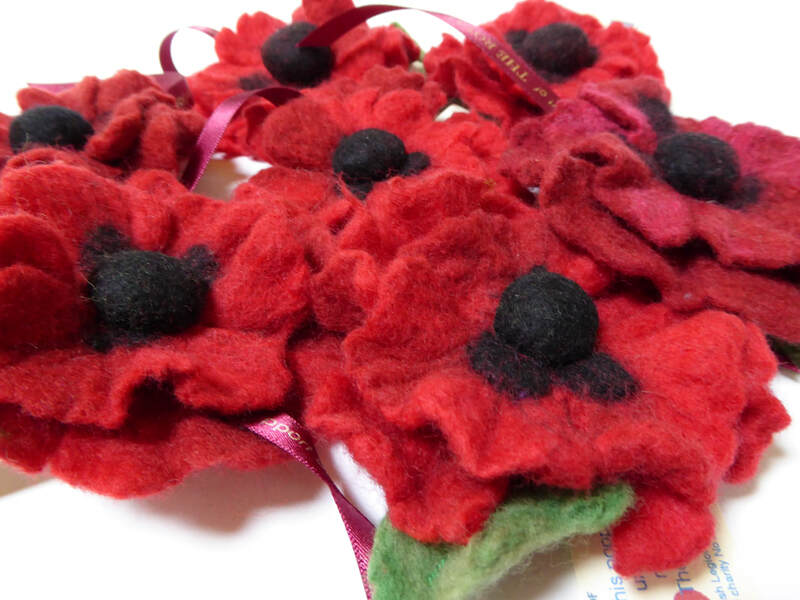 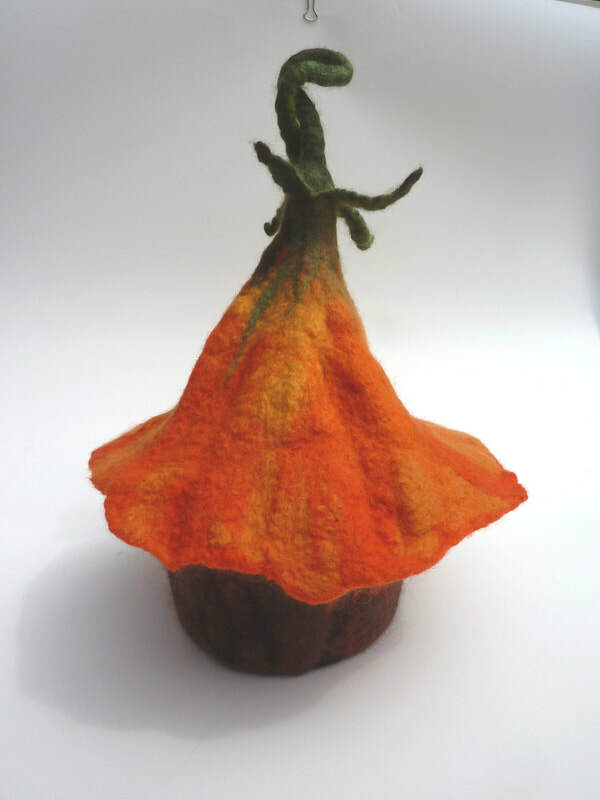 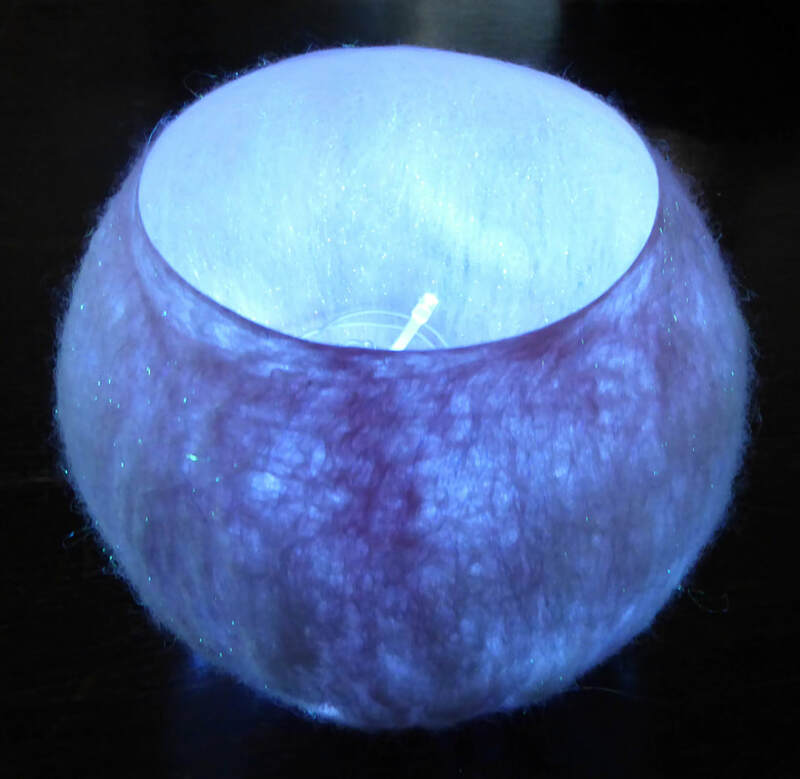 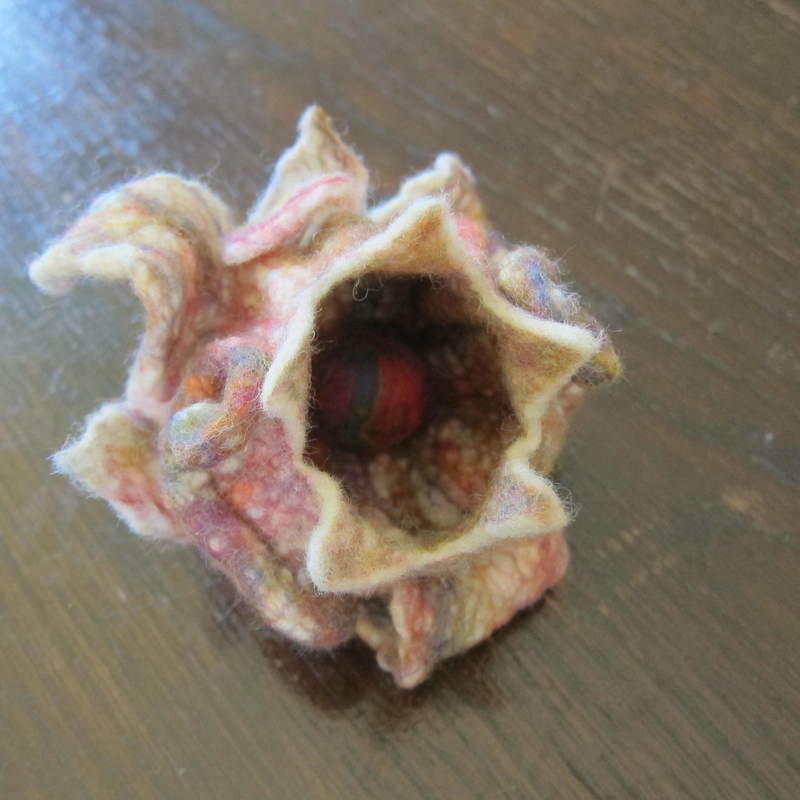 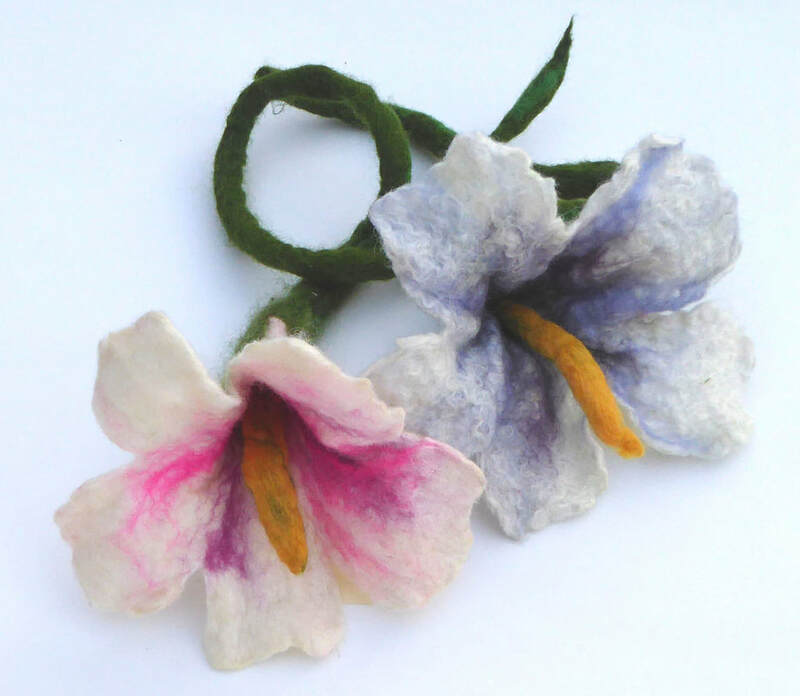 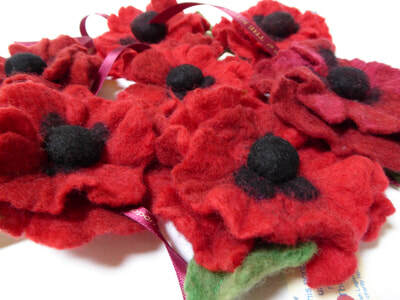 In crafting circles, the wetfelting method is ideal for larger pieces but for finer detail or for more specific projects, special barbed needles can be used as a sculpting tool - this is needlefelting. 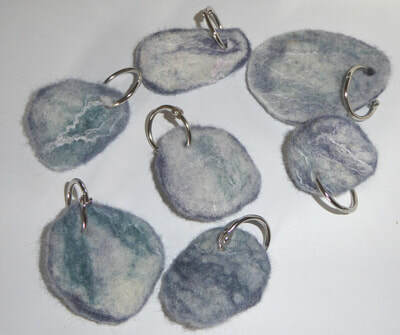 The barbs catch the scales on the fibre, tangling them and binding them together, much like the wet felting process. I use needlefelting when fine detail is needed, for example, adding stripes to bees and spots to ladybirds! I hope you will be inspired to look at some of the many sites on the internet which illustrate the versatility of this wonderful material. 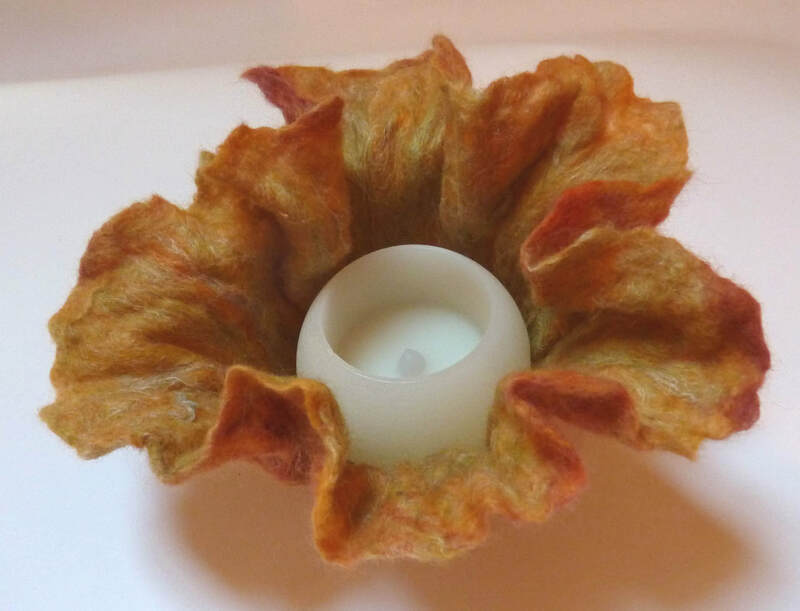 If you want flowers made in your own choice of colour combinations (say for a wedding), or a bowl, or room scent seedpod, just get in touch at flights-of-fantasy@hotmail.com and we can discuss your ideas.